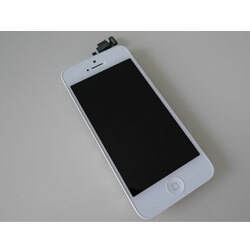 Shenzhen JST Electronic CO., Ltd.
We have our wholly owned factory for iphone ,samsung lcd screen . All our products we have 12 months guarantee . all products sell from JST Electronic .we offer super after -sale service . All products we offer the best quality with most competitve price . All parts we will ship to customer in 2-3days after get the paymente . We get ready for a one month factory rebates upon your great support to JST in the yaer 2016, and we promise to our customer the discount will keep unchange for you eventhough the price is rising . Shenzhen JST(Justime) Electronic CO., Ltd. is the manufacturer of mobile phone parts, especially in LCD and digitizer from 2006. We are engaged in supplying the best quality LCD with digitizer assembly, flex cables, USB cables, housings and accessories for mobile phones. Our factory have more than 150 workers .and professional QC so we can provide our customer the best and stable quality . JST electronic located in Baoan district Shenzhen City, China.shenzhen is largest distributing center for electronic products in China . Our Team .our headquater located in foshan city . JST engage in mobile phone spare parts more than 8 years. JST sales team can provide the best service and communication with our customers, we can speak English, Spanish,and Chinese. QC team will ensure the quality of our products and our logistic department can ship the products quickly and safely. we have one factory speacially for those iphone ,samsung lcd screen , so that is more easier for us to guarntee the quality and delivery time for the customer . If you have any problem with us, please contact us, our sales team is on line from 9:30 to 6:30 (GMT +8), from Monday to Saturday. If we are not on line, you can leave message to us, we willl reply in 24 hours.